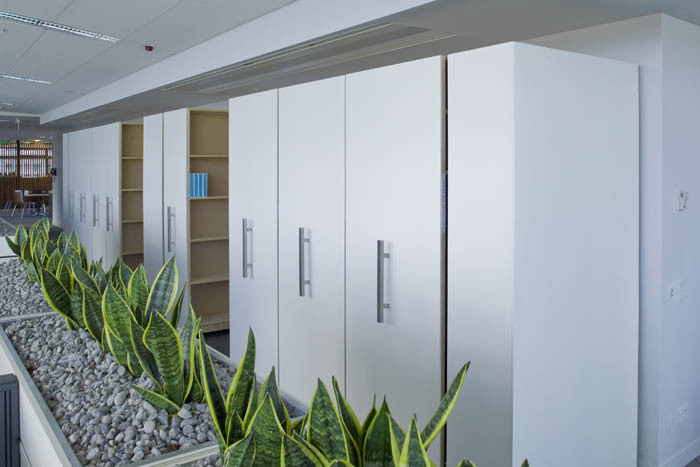 Lundia Mobile shelving systems are custom-made to suit any space, décor, design and storage need. The unique space-saving design of the Lundia Mobile system offers flexibility, modularity, strength, and re-usability with virtually no maintenance. The Lundia Mobile system also ensures optimisation of floor space, providing space savings of up to 50% over conventional shelving systems. Each shelf can hold up to 200kg.